Looking for something to do this summer? As part of the eleventh annual Spirit of America Concert to showcase FAU Libraries’ Marvin and Sybil Weiner Spirit of American Collection, come and see FAU Libraries’ Klezmer Company Orchestra, Aaron Kula and a cast of 10 actors along with 30-members of the Gay Men’s Chorus of South Florida on June 26th as they present a concert version of the beloved musical “South Pacific”. Passover marks the liberation of the Israelites from 400 years of slavery in ancient Egypt. Moses tried to convince Pharaoh to let the Hebrews go free with words and demonstrations of God’s AWESOME power. The 10th plague, the death of every Egyptian first born including Pharaoh’s young son, was too much for Pharaoh and he finally let the Hebrews go. God instructed the Israelites to mark their doorposts with the blood of a slaughtered lamb so that he would know to pass over those homes. This is where the name Passover comes from (Exodus 12:11-13). There are actually three other names for the holiday: Holiday of Matzot, Holiday of Freedom, and Holiday of Spring. But on this holiday, we celebrate the gift of freedom, remember Jewish history through special Seder foods and teach the lessons of the Haggadah (The Telling) to the next generation. Here at the Recorded Sound Archives, we have a collection of over 70 Edison Records which can be listened to online. To listen or learn more about Edison Records click here. If there’s one type of song that we will never grow tired of, it is the ever popular love song. Mellow or upbeat, mushy or filled with angst; whatever the tempo or the lyrical content… Enjoy these nine timeless love songs from the 1920s found in the Recorded Sound Archives Vintage, Judaic and Jazz Collections. 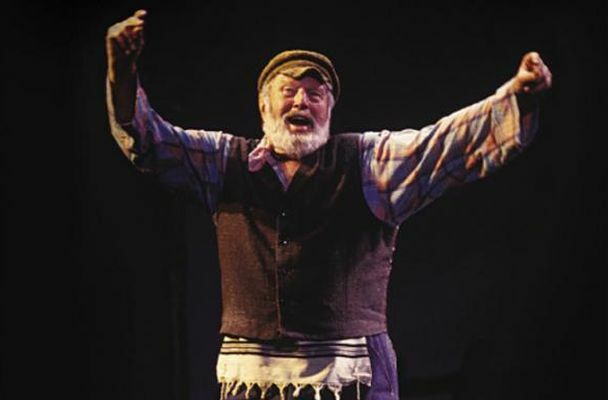 The Recorded Sound Archives would like to highlight the voice and recordings of Cantor Shloimele Rothstein , one of over 260 Cantorial voices to choose from in the RSA’s Cantorial Collection. This year the Recorded Sound Archives has put together a wonderful collection called Songs of Chanukah that will entertain and delight the entire family with over 50 albums to choose from such as the Children’s Village Choir singing Hanukkah is Here to Kenny Ellis with Hanukkah Swings. The songs in this collection express the essence of the holiday with children’s songs that teach about the holiday, traditional songs and a new twist on old favorites. 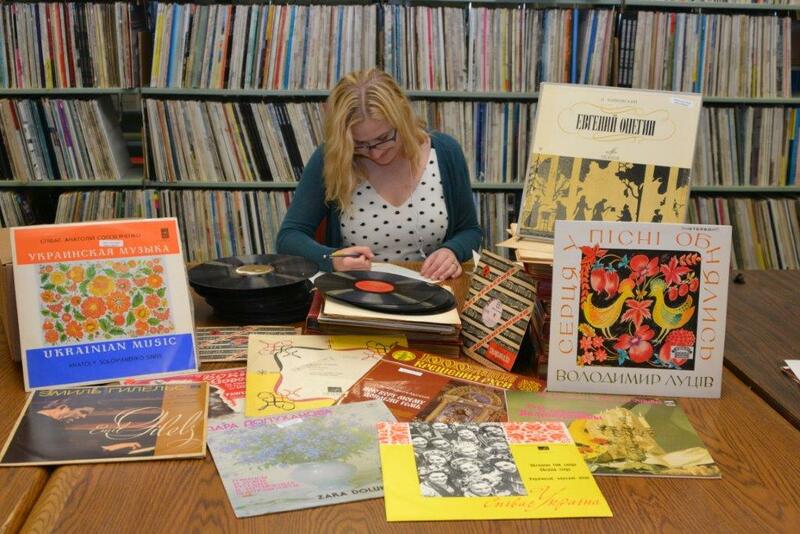 Did you know the Recorded Sound Archives has over 49,000 albums along with over 150,000 songs in it’s databases which is growing everyday with the help of volunteers? With so many recordings to choose from at FAU Libraries Recorded Sound Archives, we’ve given Research Station users the ability to request items be digitized. See a recording that hasn’t been digitized as a research station user you can request it using the Music on Demand forms on the RSA website. Please note, due to copyright some of these recordings may only play for 45 second snippet to give the user a taste of what this music sounded like back in the day. Below you’ll find a list of recordings that were recently added in September by Collection. If you are an FAU student, faculty or staff member, all you need is your FAU ID to login and listen. Not a part of the FAU? If you are a student, professor or researcher from an outside institution needing unrestricted access to the recordings please consider applying for research station usage by clicking here. 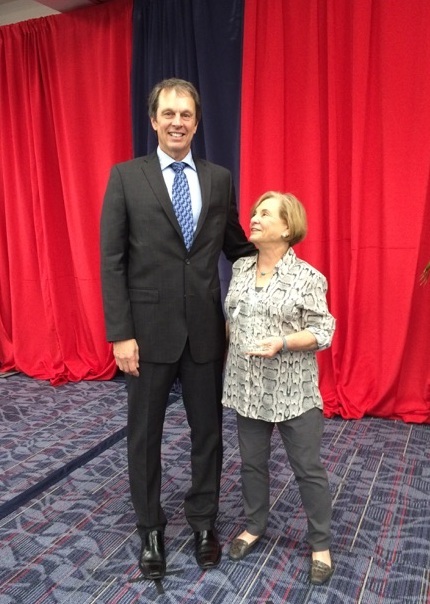 FAU President Dr.John Kelly presented Maxine Schackman with this prestigious award on April 22, 2015. Maxine was nominated for the prestigious Jeffrey Gabor Exemplary Employee Award by Rita Pellen, Interim Dean of FAU Libraries. In her nomination letter Pellen praised Schackman for her hard work building up the Judaica Sound Archives since the early 2000’s. 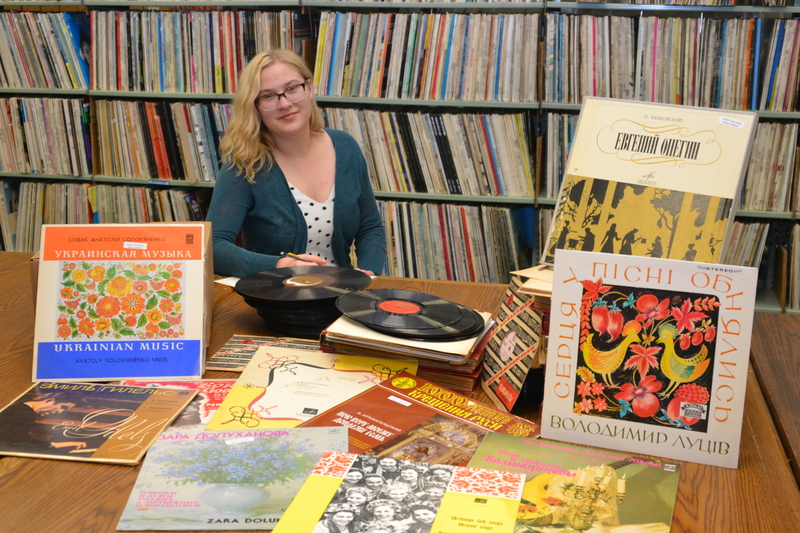 In 2009, when she stepped in as director, Schackman expanded the scope of the online archives by including rare historic vintage and jazz recordings. In 2013 the Recorded Sound Archives made the news when, with the help of Peter Muldavin, the “Kiddie Rekord King,” they rescued over 800 vintage children’s recordings from a flooded storage facility after SuperStorm Sandy hit Long Island. Schackman and her crew worked tirelessly for a year to digitize the sound and images that had been damaged. Now this wonderful collection of recordings are available online. For more about this story see video here. Florida Atlantic University professor Stephen Engle, Ph.D., and Kate Dahlstrand, an FAU alumna and U.S. Army veteran, will host a discussion titled “Abraham Lincoln and the Crisis of Federalism,” on Friday, March 20 at 3 p.m. on the fifth floor of the Wimberly Library. The lecture is free and open to the public. Metered parking is available at the Wimberly Library. For more information, contact Jackie Simpson at 561-297-3921 or visit http://www.library.fau.edu/news/flyers/lincoln_ala2015.pdf. Kate Dahlstrand, a Florida Atlantic University alumna and U.S. Army veteran, will present “Prisoners of War and the Loyalty Oath: The Rhetoric of Unionism and Reflections on Reconciliation,” on Monday, March 23 at 10 a.m. on the fifth floor of the Wimberly Library. The lecture focuses on unionism, reconciliation and citizenship. The lecture is free and open to the public. While recording devices were not in existence during the Civil War, this didn’t stop people from re-enacting famous speeches by President Lincoln at the beginning of 20th century. Here at the Recorded Sound Archives we’ve digitized a collection of speeches by President Lincoln along with some military related recordings in conjunction with a traveling exhibit about Lincoln: The Constitution and Civil War highlights from Special Collections. What are sound recordings made of? Initially sound was recorded on wax cylinders. By the end of the 1920s, however, recordings were made of a heavy, fragile shellac compound. Did you know Star Trek’s Mr. Spock was Jewish? Leonard Nimoy passed away February 27, 2015 in Los Angeles at the age of 83. The son of Yiddish speaking Orthodox Jewish immigrants from Iziaslav, Soviet Union, Nimoy began acting at the age of 8. He starred in minor movie roles through the 1950s, but he is probably best remembered for his role as Spock. Nimoy captivated audiences in his role as the half Vulcan, half human Spock in the original Star Trek TV series (1966-1969), and earned himself three Emmy nominations. He later appeared in numerous Star Trek and other films and directed Nimoy directed Star Trek III: The Search for Spock in 1984 and Star Trek IV: The Voyage Home in 1986. 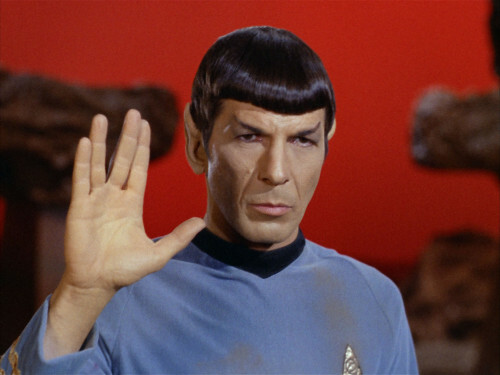 The Vulcan salute, which became identified with him was created by Nimoy from his childhood memories of the way kohanim (Jewish priests) hold their hand when giving blessings. In the clip below Leonard Nimoy explains the origin of the Vulcan hand signal. Video by Yiddish Book Center on Publish Date February 27, 2015. Beyond acting and directing Nimoy was a recording artist and released five albums. The Recorded Sound Archives at FAU Libraries is delighted to share the following recordings by Alberto Mizrahi and the Western Wind, featuring Leonard Nimoy as the narrator.